Social Media is everywhere! Facebook, Flickr, Digg, Twitter, LinkedIn, Pinterest, YouTube, Google +. In today’s article Social Media Today Harness the Power of Linkedin we talk about how Social Media is here to stay. If you are a business owner it needs to be included in your marketing plan. strengthen relationships with your: audience, clients, potential customers, influential people in your field, etc. 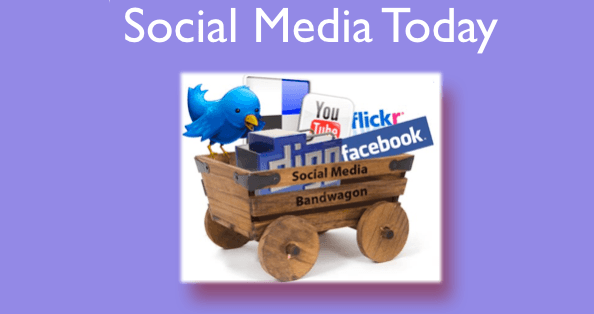 improve your search engine rankings, yes, Google favors social media!! Social media is part of the new world of marketing. You need it in your business, regardless of your business. That’s why in this issue post I decided to concentrate on LinkedIn. On a personal note, I love social media because it has inspired me in so many ways. It’s because of the relationships that I made through social media that this magazine was created; it’s why I wrote my book on Relationship Marketing and the New Entrepreneur and it is how I developed so many incredible friendships that have enriched my life. When it comes to building your presence online there are plenty of reasons why you should create a profile for your business on LinkedIn. First of all, LinkedIn is a business-focused social networking site. Majority of its members are online entrepreneurs, business owners, marketers, and all sorts of business-oriented individuals. This fact alone makes the social site a must-have for your own business. If you are not building your presence on it, then you are missing out on a lot of business opportunities. Whether you are promoting a new product or service, looking to hire new employees, or simply marketing your business as a whole, LinkedIn provides you with a plethora of tools and resources that you may use to help you accomplish all these things. Setting up a business profile on LinkedIn is free. Just log in to the site using your personal account, find the “Companies” menu and just follow the instructions from thereon. LinkedIn’s wizard will guide you throughout the whole process. Make sure that you complete all the necessary information in the registration process. Don’t leave any space blank. If you have a logo for your business, then add it. Don’t forget to place the location of your business as well. This is especially important if your business is a brick and mortar one. Including your business location is very critical if your online presence is for marketing purposes only. You have to let people know where they can find your physical store if they are interested in doing business with you. Take time to write a brief but very informative description of your business. See to it that the description includes information about your business offerings, whether these are products or services or both. Most people don’t have the time to read through long texts so make the description as brief and as straight to the point as possible. Place your business under the correct category. LinkedIn members will be using the site’s search functions to look for businesses on the site. If you placed your business in the wrong category or industry, your targeted customers or partners won’t be able to find your business profile. If you have a business or company blog, get the feed of the blog and include it on your business LinkedIn profile. Anyone who follows your profile will be updated on the latest posts on your blog. If you don’t have a business blog, now is the time to start one. Putting the feed on your LinkedIn profile will keep the page fresh and entice other LinkedIn members to keep visiting your business profile. LinkedIn will pull all the other accounts, feeds, and links on the site related to your business profile and connect them all together. These include your job listings, current employees, and even former employees. It’s crucial that you monitor everything to insure that everything connected to your profile is legit. When it comes to setting up a LinkedIn profile for your business keep these simple tips in mind and you will have a winning profile in no time! Is Facebook Effective for Internet Marketing?